Bonggamom Finds: Why Would I Test Drive a Lincoln MKT? 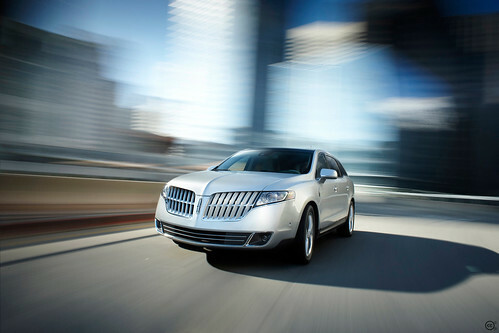 2010 Lincoln MKT with Ecoboost, originally uploaded by Ford Motor Company. You know those car commercials where they invite you to contact your local dealer for a test drive? Frankly, I've never ever done that, and I don't know anyone who does, either. You'd either have to be true auto enthusiast or a masochist to actually go to a dealer and ask for a test drive. Sure, they'll let you test drive it -- for all of 10 minutes -- but is it worth the sales pitch that you have to go through? Tomorrow I'm going to test drive a car -- but it's going to be a test drive like all test drives ought to be done. The Ford Motor Company has graciously lent me the use of a Lincoln MKT for all of Labor Day Weekend. Without any pressure to buy anything, other than a request to try it out and let them know what I think. Hang on.... Ford? Lincoln?? Aren't Lincolns those huge town cars that you ride to the airport with? Why would I want to test drive that?? So why did I agree to test drive the Lincoln MKT? First of all, I'm glad I looked the car up on the internet beforepolitely turning them down. The Lincoln MKT is actually a luxury 7-seater crossover with enough space for my three kids, all their stuff, and even a playmate or two. People are not going to mistake me for a limo driver. * Did I mention the Active Park Assist? So I'm actually more curious than ever to take the MKT out for a spin. 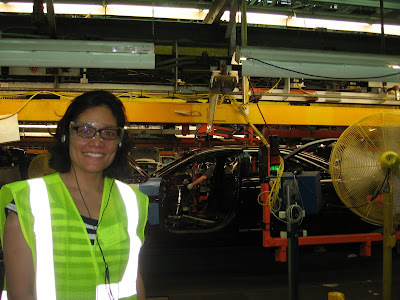 Of course, it doesn't hurt that Ford was so extremely nice and gracious during the whole What Women Want event -- showing us their latest technologies, giving us a plant tour. Best of all, they listened. I have to admit that I did not experience the same rush of emotion and pride that some bloggers did (read Citymama's touching and heartfelt post about the whole experience). But I will say one thing: The event is certainly changing my perception of Ford. I know now that Ford is not a company where all the decisions are made by old men in suits. I know that what goes into Ford cars aren't determined by people who sit in the backs of limos and tell consumers, This Is What You Want. I know that Ford takes real input from real people and use it to build Ford cars. And I know that's true because Citymama and I and fifty other bloggers saw them do it. They listened to us. To What Women Want. And that's why I agreed to test drive the Lincoln MKT. Because I know they will listen to what I have to say. I did not receive a product sample or monetary compensation for this post. Heck, I haven't even received the car loaner yet. The views and opinions expressed here are my own. Mk, sorry to hear about your car woes! I live in the SF Bay Area so maybe the stock of autos in your area comes from different warehouses. Usually a long waitlist means the car is popular, so revel in the knowledge that you'll be one of the select few driving an MKT in your part of Ohio :) Good luck! Mk, if you'll contact me with your name, email address and VIN, I'll be sure we find out for you. You can find me at smonty [AT] ford [DOT] com. FYI, the vehicles that we loan to bloggers and journalists are part of our media fleet, which are pre-production vehicles that are made before the official start of Job #1 (industry term for the beginning of production). And Bonggamom, we're so glad that you were at the BlogHer event and that you'll have an extended time withe MKT. Can't wait to read your overall impression.